Since the last update, Rep. Kurt Schrader (D-OR) and Rep. Dan Newhouse (R-WA) became cosponsors of the Zadroga Act. With these additions, the House now has 261 cosponsors and the Senate is still at 66. 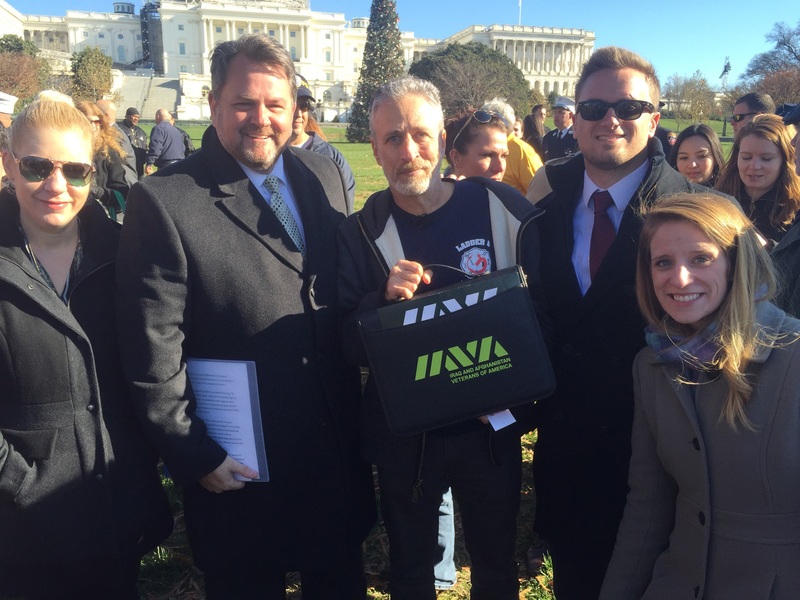 Today, IAVA joined several members of Congress, the FealGood Foundation and Jon Stewart at a press conference calling for immediate passage of the Zadroga Act. During the press conference, Jon Stewart announced that during an early morning meeting, Senate Majority Leader Mitch McConnell pledged support for getting the bill passed before Congress leaves for the December recess. 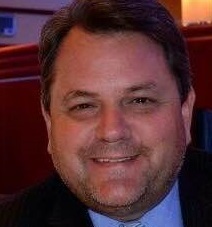 The call for Congressional leadership to pass the bill immediately was echoed throughout the press conference. The best vehicle for passage remains the upcoming FY16 spending omnibus. Since this must be passed by December 11th, there needs be significant pressure on both House and Senate leadership to make good on their support and include the legislation in the omnibus. Leader McConnell has expressed concern over the exact pay-for for the legislation, and members of Congress leading this effort continue to work together to identify potential pay-for options. Following the press conference, the legislative team met with Rep. Scott Perry (R-CA) to request his support. Thanks to the compelling advocacy of IAVA member and 9/11 first responder, Dan Moynihan, Rep. Perry shared his personal connection to the issue. IAVA has followed up with his office after today’s meeting to continue expressing the need for his support, especially since he is a chair of the House Post-9/11 Veterans Caucus. We’re keeping the fire burning and will be attending additional meetings tomorrow to push for not only more cosponsors, but for the bill to be included in the FY16 omnibus spending bill. With only 8 days left to get this across the finish line, there is no time for Congressional leadership to waste.